Toothacres Pet Cemetery has been serving the animal lovers of Texas since 1979. In the past 33 years we have learned how to serve the pet owning public and have excelled at the specialized services in demand today including private and partitioned cremations and burial services. 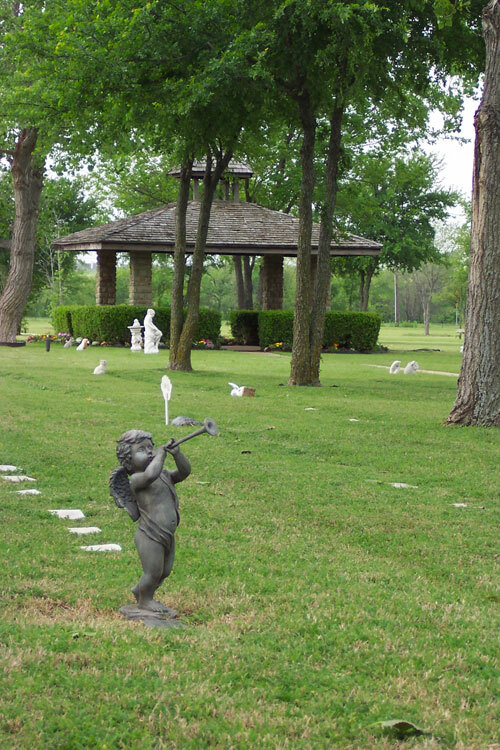 Nestled in the countryside of North Carrollton, on land owned and operated by the Clem family since 1849, our “Garden of Memories” Cemetery offers both quiet comfort and an easily accessible location for our patrons. Your pet’s final resting place will be surrounded by acres of beautiful tree lined landscapes featuring a gazebo and several monuments. You can also be assured of honest, legal, respectful and dignified services for your pet as we strive to offer and maintain the highest levels of customer service. Our staff will even provide our clients with the opportunity to be present at their pet’s services (both burial and private cremation) if that can help offer peace of mind. In addition, we offer a complete line of options with our services and products including caskets, urns, custom engraving, memorial markers, permanent maintenance and landscaping of the cemetery, grief materials and prearrangement opportunities so that you may reserve services or sites for future needs. We also meet most special requests to help personalize items or services for your pet. Regardless of services selected, breed of pet or budget, we are confident that we have a helpful service option available for everyone. This is an important decision! After reviewing the information here at our website, please feel free to call a member of our cemetery staff with any questions or concerns you may have. Whether your “special one” is canine, feline, small mammal, aquatic, reptile or exotic we understand the important role they play in your life. Each member of our staff is a pet owner and is respectful of that unique relationship and bond. We hope that at your time of need you can feel confident that we will be here to help you in every way.